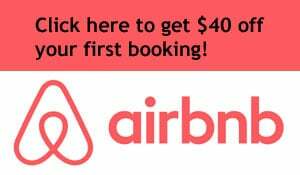 Everyone knows about the major tourist attractions in the country, from the Statue of Liberty to Disneyworld to Mount Rushmore. But those are places you should go with your parents when you’re 10 years old. Once you get older, it’s time to find more interesting attractions to visit. 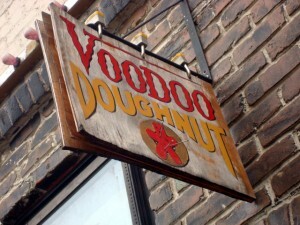 True hipsters would probably avoid popular spots altogether, so the title of this post is a bit misleading. But let’s ignore that semantic inconsistency and instead focus on five of my favorite cool hipster attractions from around the country. 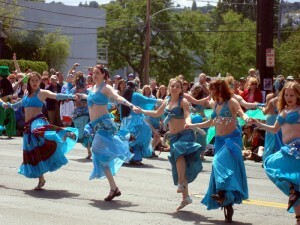 Every year Seattle’s artsy neighborhood of Fremont hosts a fair and parade where people dress up like maniacs and celebrate the summer. The Solstice Parade is unique because it features no vehicles and no advertisements – just wacky folks in silly costumes out to put a smile on people’s faces. Before the parade, a group of cyclists in body paint ride along the parade route as part of the World Naked Bike Ride, and after the parade revelers move to a central location for a fair where artists can show off and sell their work. The best part? Everything is free. The world’s largest museum dedicated to a single artist, Pittsburgh’s Andy Warhol Museum showcases the pop art junkie’s paintings, photographs, films, sculptures and installations. The seven-floor facility (usually only four or five are open at a time) also includes newspaper clippings from Warhol’s life and a display of covers from his Interview magazine. 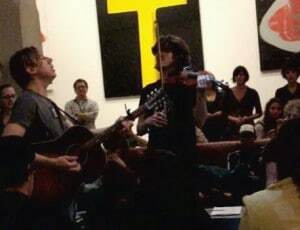 Occasionally, temporary exhibits from other artists are displayed, and the Warhol regularly hosts ultra-cool concerts by artists and bands like John Vanderslice (right), St. Vincent, Antony & the Johnsons and Black Dice. 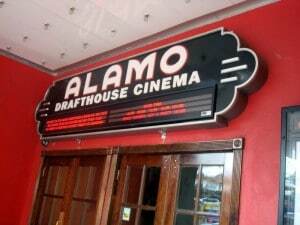 If you’ve ever heard screaming children at a movie theater and thought, ‘Why can’t there be a theater that doesn’t allow kids?,’ check out the Alamo Drafthouse Cinema. Children under six are not permitted, except for special events, and those under 18 must have a parent. The theater serves alcohol and food with table service. It’s like combining the dinner-and-a-movie date experience into one location. The Alamo even creates its own amazing pre-movie entertainment – when I saw the latest Star Trek movie in 2009, the previews included clips of Star Trek parodies from various tv sketch shows. Junkman’s Daughter’s Brother, Athens, Ga.. The Junkman’s Daughter’s Brother – the name alone tells you this place is a bit odd. 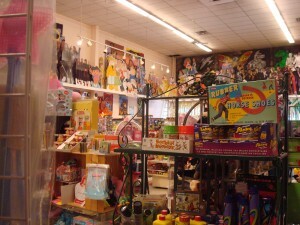 The store is like the well-known mall gift/toy shop Spencer’s, multiplied by a hundred. From t-shirts to novelty toys to posters to games, the Junkman has the perfect store for a college town, which makes its location in Athens, Georgia a good fit. There’s also a Junkman’s Daughter (minus the brother) in Atlanta’s hipster Little Five Points neighborhood.